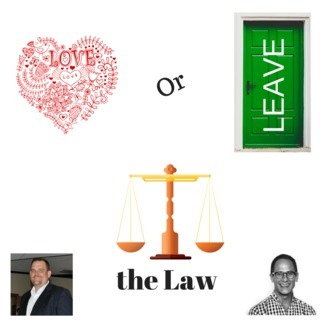 Love Or Leave the Law: Are you a lawyer who’s unhappy with your current law practice, but unclear as to how to make it better or whether you should just leave law altogether? It’s time to take control of your life and develop a successful life strategy that will help you really connect with your practice of law, or find a path to a new and fulfilling career with Love or Leave the Law. Join former practicing attorneys Adam Ouellette (author and founder of www.EsquireAcademy.com) and Casey Berman (founder of www.LeaveLawBehind.com) as they tackle the struggles of making life changes that will help you optimize your legal practice, or guide you on your path out of the law and into an alternative “non-law” career. 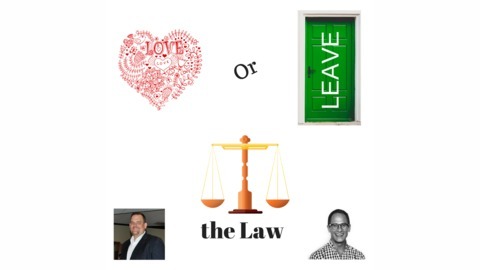 Love or Leave the Law is honored to have Mark Weber join us! Mark has more than 20 years of experience counseling and advising students and attorneys about their careers, and he shared a wealth of knowledge in this episode. Since 2000, Mark has served as the Assistant Dean for Career Services at Harvard Law School. He held that role at his alma mater, the University of Illinois College of Law. Before counseling students, Mark practiced law at a mid-sized firm in Chicago where he focused on tax, corporate and bankruptcy matters and worked in the tax department of a Big Four public accounting firm. Mark is also a CPA and received his B.S. in Accountancy from the University of Illinois. - And why asking yourself "How do I feel?” on Sunday night tells a lot about what you should do with your life. Did you get some value from this content? Then let you friends know and leave us a review on Itunes! #32 - Is it possible to travel extensively and have a successful law firm? Yes!